It’s the most Wonderful time of the year! Christmas season is a time to spend with loved ones and share the joy of the Holiday season! Angels of Care Pediatric Home Health understands how difficult it can be to provide Christmas for your family. Imagine the families unable to provide a single gift for their child this Christmas. For that reason, we are thrilled to announce our 1st Annual Angels of Care Christmas Wish! 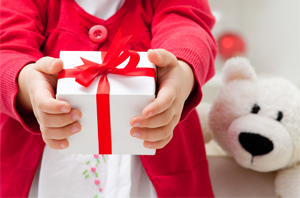 Angels of Care will be selecting one family and giving away a Christmas Wish worth $5,000. What will your family’s Christmas wish be? It could be anything; 5,000 hot wheels, a family vacation, or more! We are accepting applications until 12/12/14. The family being awarded the Angels of Care Christmas Wish will be announced 12/17/14.